Caption slip reads: "Photographer: Brunk. Date: 05-14. Reporter: Simmons. 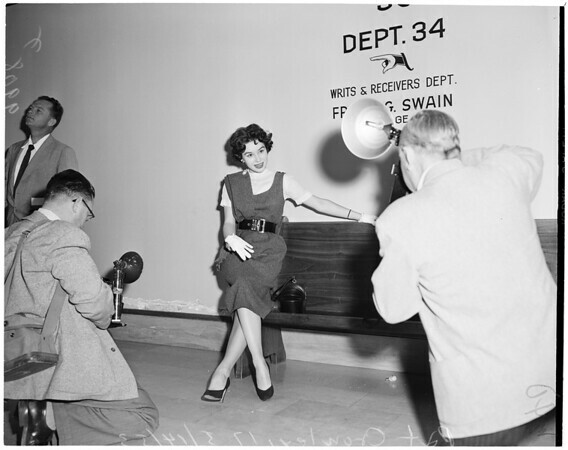 Assignment: Movie starlet, Tower press room. 40-51-52: Pat Crowley, 17, in court for contract hearing."